“When the last bale comes off the field, the fertilizer truck is loaded and ready to roll,” said Clayton Geralds, a Munfordville, Ky., farmer who bales nearly 150,000 small square bales per year and is vigilant when it comes to soil testing and applying needed fertilizer. A large part of Geralds’ fertilizer program centers on potassium. “I talk to a lot of guys who hardly put any on their fields, but I don’t know how you maintain high alfalfa yields without it,” he says. Dennis Hancock, University of Georgia forage specialist, agrees with the premise that potassium (K) is critical to a successful alfalfa program. In “tongue in cheek” fashion during presentations that Hancock makes while on the meeting circuit, “Apply K” — or some iteration thereof, entails four of his seven keys to maintaining stands of alfalfa. To be sure, K is removed in large quantities if you harvest alfalfa or corn silage. Alfalfa removes about 55 pounds of equivalent K2O for each ton of dry matter removed. Corn silage, depending on grain and silage yield levels, will remove at least 100 pounds more K2O per acre than the same crop where only the grain is harvested. This is because most of the K is held in the stalk for various necessary physiological plant processes. 1. Not enough K being applied: This is the obvious first answer and likely the predominant reason for K-starved plants. Perhaps it’s a matter of choice, but K prices today are favorable compared to recent years. 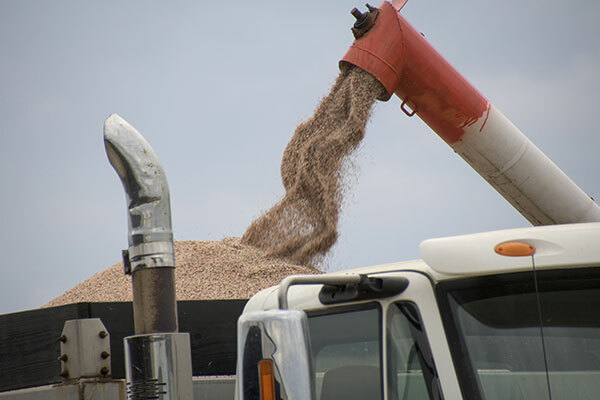 According to USDA data, the average national price for potash peaked in 2009 at $853 per ton. Currently, that price has dropped to between $320 and $350 per ton in many areas. The last time we saw prices at this level was 2007. Now is a good time to make corrections to low K fields and ensure annual application rates match nutrient removal. 2. More liquid corn starters: Liquid corn fertilizer starters have become vastly more popular than dry granular products. Most liquids contain little or no K, so differences need to be made up with broadcast applications or manure. 3. There’s more no-till: As fields gain a longer history of no-till production, K begins to stratify near the soil surface. In this sense, it becomes positionally unavailable for plant root uptake. This situation is enhanced when the soil surface is dry and the subsoil is moist or wet. 4. Slow or poor root development: Mostly a corn issue, but any environmental condition that inhibits root development will retard K uptake. Potassium in the soil is not mobile to any great extent. Conditions such as cold, wet soils or cold, dry soils slow root growth. Other things that impact root growth include seed furrow sidewall compaction, herbicide injury, insects, and fertilizer burn. 5. Low soil oxygen: Potassium uptake is reduced when there isn’t enough oxygen present in the soil. This is most commonly caused by compaction and is why K deficiency is often seen on headlands. Saturated soils also provide for a low-oxygen environment, though in most cases this is temporary. 6. Fewer dairy farms: Manure is an excellent source of K. With fewer dairies in some areas of the U.S., there are many fields that no longer receive routine applications of manure. Related to this is the fact that some manure may not contain as much K as what is being credited. Given the wide range in manure test values, it’s always best to submit a sample for nutrient analysis. 7. More corn silage: Given the boom in corn silage acres across many regions, K removal rates for crop rotations have spiked substantially. If both alfalfa and corn silage comprise the entire rotation, significant amounts of K are being taken off fields. Couple an alfalfa-corn silage rotation with inadequate fertilizer application rates, and it doesn’t take long for soils to become K deficient. 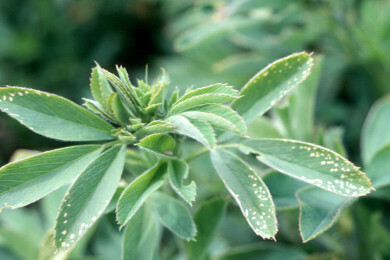 Whether you are seeing alfalfa or corn deficiency symptoms or not, growing either crop demands that the soil and plant status of K be monitored. It is a forage nutrient needed to maintain both yield and quality, especially when crops are stressed. If you haven’t done so recently, make K a discussion point with your agronomist or extension agent in the near future.